• Due to reasons related to dolphins training several periods of time can be decreed in which swimming with them may not be included, therefore price will be informer at the occasion. Transfer Hotel - Marina -Hotel. Sailing off-shore enjoying the beauty of our seas. Music and open bar: sofdrinks, beers and Cuban cocktails included either aboard or while being in the key. Snack abord. An approximately 15-minutes interactive bath with dolphins. Time for snorkeling in coral reef. Visit to Cayo Blanco for have lunch (lobster, shrimps, and fish). Nautical equipments (non-motorized) included in the key. Free time for swimming in the sea. Return to the Marina. Marina-hotel transfer. TIPS: • Recommended: light clothing, swimsuit, sunglasses, cap and solar protection. Tour in collective bus and catamaran with specialized guide service in several languages. 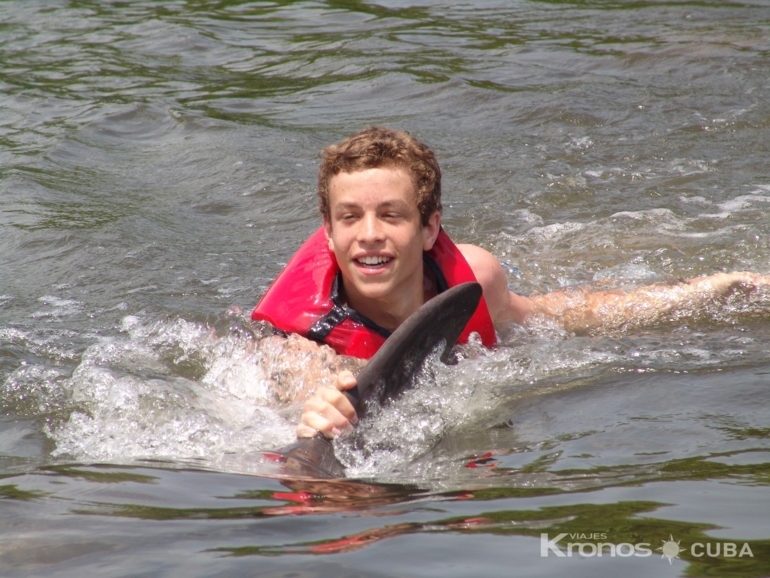 Swimming with dolphins. The best price. 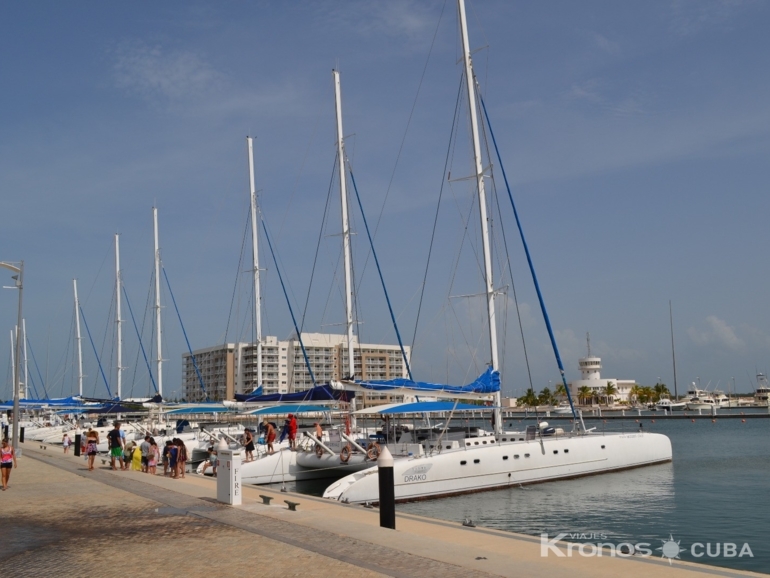 Tour in exclusive catamaran with specialized guide service in several languages. Swimming with dolphins. The best price. 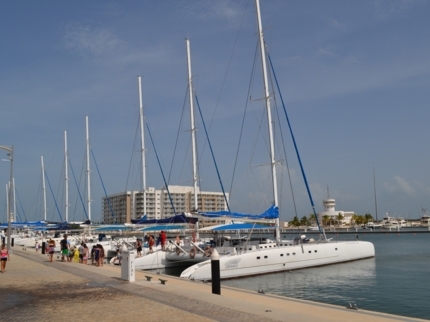 Tour in exclusive catamaran with specialized guide service in several languages. Swimming with dolphins and fishing. The best price. 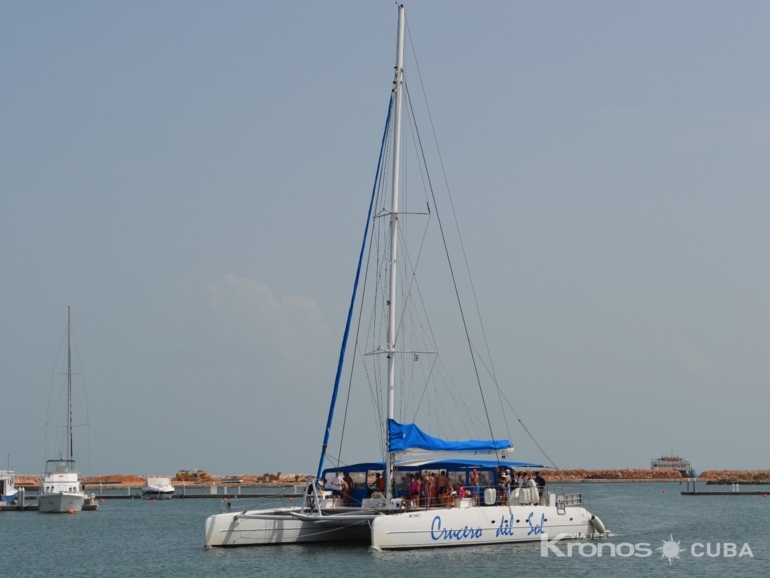 Tour in exclusive catamaran with specialized guide service in several languages. The best price. Tour in collective bus and catamaran with specialized guide service in several languages. Swimming with dolphins and visit to Paradise Island Natural Park. The best price.